Tofu gnocchi. Yes, that's right. Gnocchi made from tofu instead of potatoes. Who knew? Tofu makes a great reduced-carb substitute for potatoes in traditional homemade gnocchi. Recipe and photo courtesy of the Soy Foods Council. In a food processor, add tofu and plus until tofu is at a fine consistency. Add parmesan, salt, pepper, and egg yolks until well combined. Next, add the flour and blend together until a ball is formed. Shape small portions of the dough into long ropes. With a knife dipped in flour, cut ropes into 3/4 inch pieces. Bring a large pot of lightly salted water to a boil. 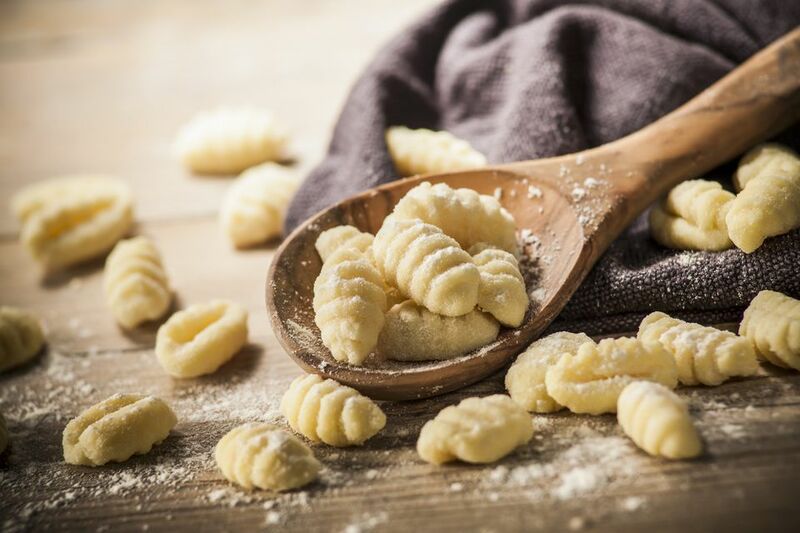 Drop your gnocchi dough into the simmering water and allow to cook for 3 to 5 minutes or until gnocchi has risen to the top; drain well and top with your favorite sauce.